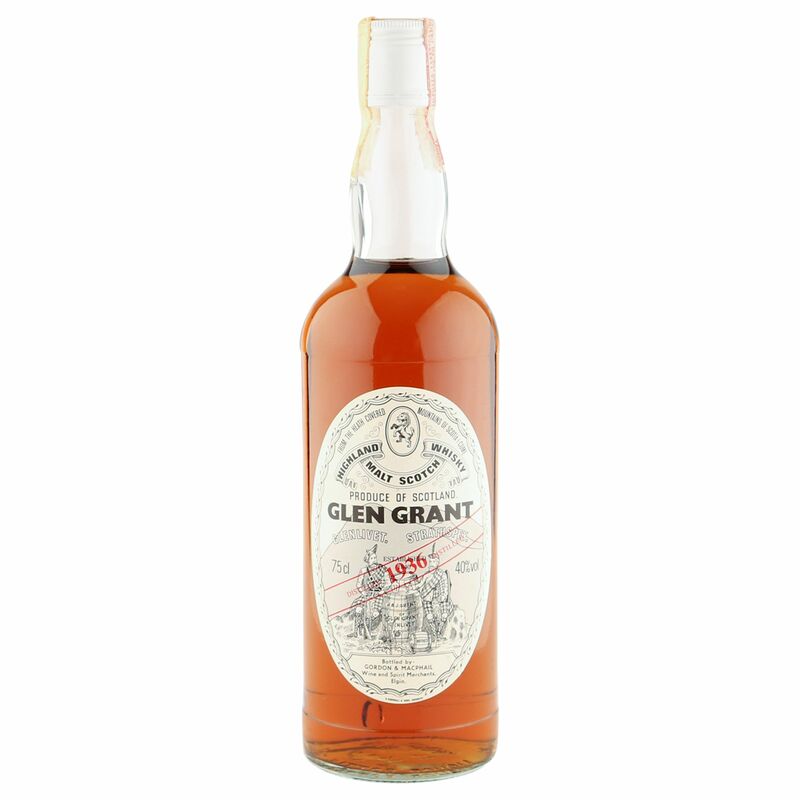 This superb Speyside single malt from Glen Grant was distilled pre-world war II in 1936 and bottled by Gordon & MacPhail, approximately 50 years later, in the 1980's. Both the bottle and label are in great condition, whilst the fill level is lower neck - all depicted on the image inset. A truly magnificent piece of Scotch whisky history.